An illustration of three daisies accompanied by a little ladybird. A superb decal from our creative collection of daisy wall stickers. A fresh look for your bathroom that will create a fantastic atmosphere. 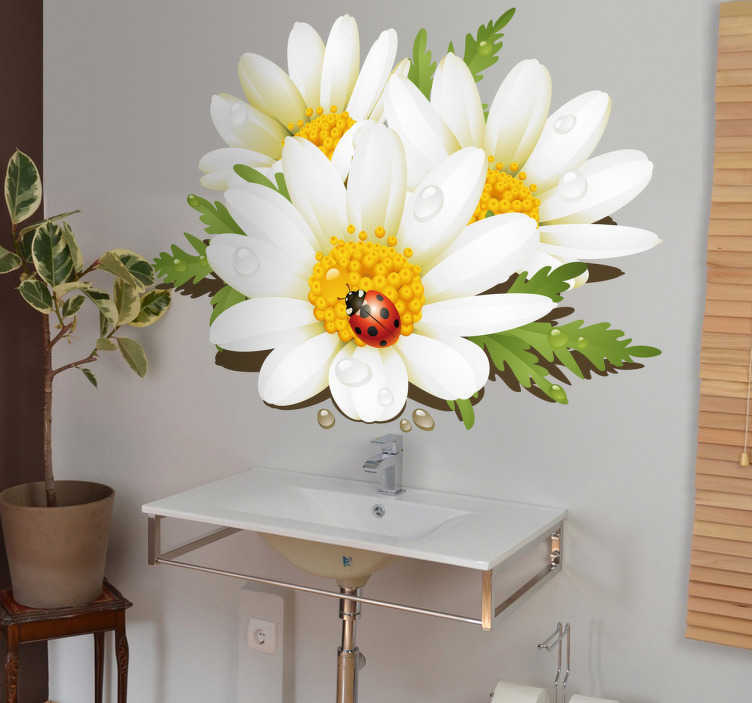 If you are tired of those empty spaces then this is the perfect daisy decal to personalise your bathroom. This daisy decal is suitable for the shower or the walls of the bathroom. Available in various sizes and made from high quality vinyl. Easy to apply and remove.